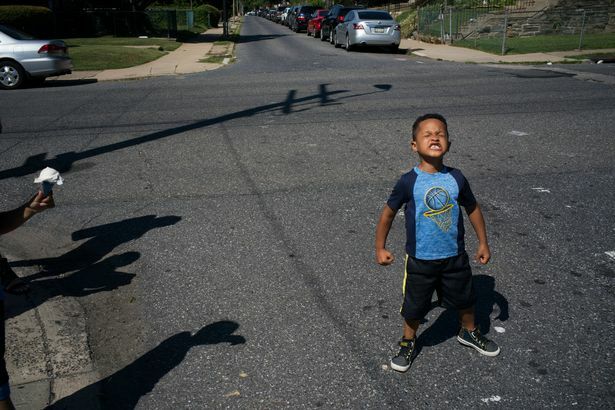 Before five-year-old Thiago was ripped away from his mum at the American border he loved nothing more than playing with his Minion characters from the “Despicable Me” movies. But now his favorite game is patting down and shackling “migrants” with plastic cuffs. 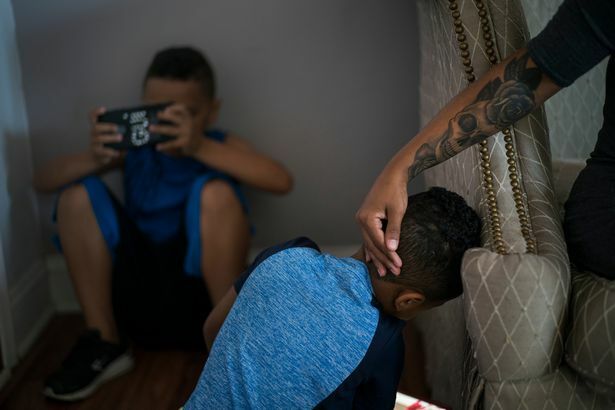 Thiago and mum Ana Carolina Fernandes were separated by Border Patrol agents in New Mexico on May 22 after travelling from Brazil. 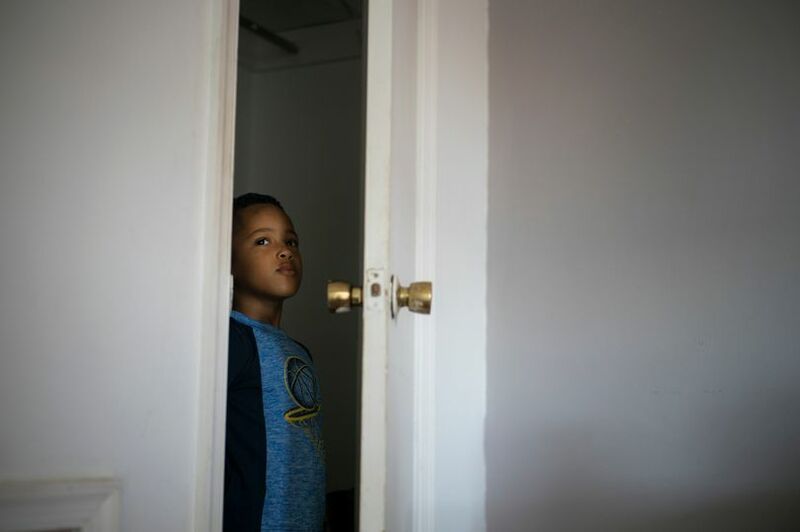 Thiago is one of nearly 3,000 forcibly removed from their parents as part of Donald Trump 's new “zero-tolerance” immigration policy. 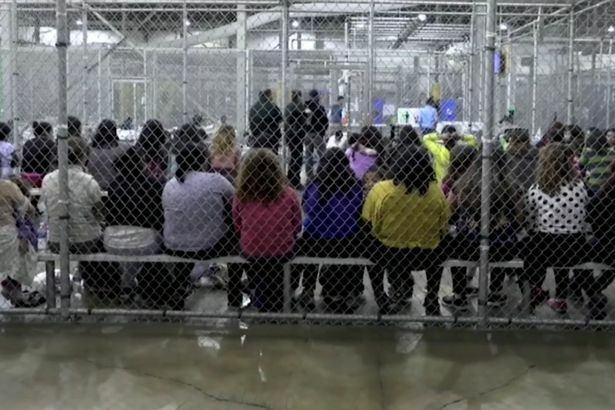 Some were torn away as they pleaded and cried - while others were duped after being told they were being taken away to play with other children. The day after Ana and Thiago were detained he was told he was being taken away. That night he cried himself to sleep. He is now finally back with his mum after 50 days apart - but Ana tragically says her little boy is not the same. Ana said when she spotted her son at baggage claim at the airport she ran towards him but he just "stood there frozen." Ana said when she spotted her son at baggage claim at the airport she ran toward him but he just "stood there frozen"
He later pleaded to be breastfed - something Ana says he hasn't done in years. She said he is now nervous when people he doesn't know come round to his new home in Philadelphia and crouches behind the sofa. He also dashes into the closet suddenly at times to avoid interaction. “He’s been like that since I got him back,” Ms. Fernandes told the New York Times . “He doesn’t want to talk to anyone. Trump ended family separations on June 20 and now more than 1,800 separated children have been reunited with their parents over the past few weeks. But for many the trauma of being taken from their parents at such a young age has left them with anxiety, introversion, regression and other mental health issue, according to parents and volunteers trying to help with the fallout. 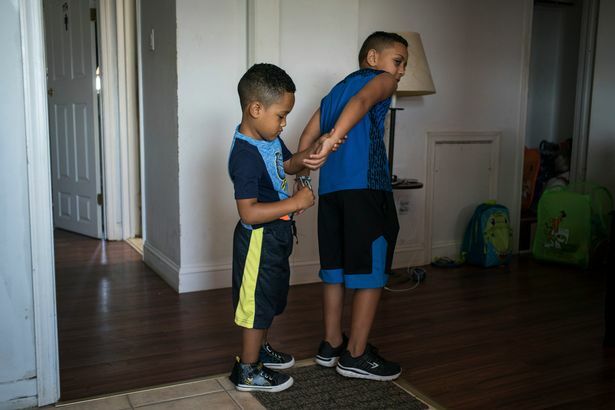 One such volunteer is Joanna Franchini, who is coordinating a national network of volunteers working with migrant children and their parents called Together & Free. She said: "Our volunteers are seeing the significant and real toll that these traumatic separations have had on these children’s and these families’ lives, which persist even after reunification"
She said one thre-year-old boy appears to be emulating things he saw while in Immigration and Customs Enforcement custody as he keeps pretending to handcuff and vaccinate people around him. And a pair of young siblings burst into tears when they spotted police officers on the street. 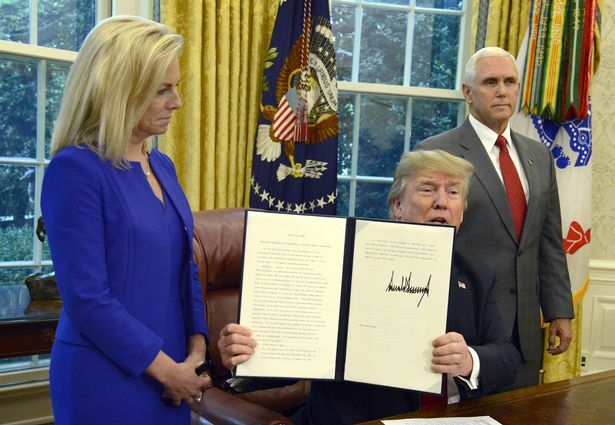 The Trump administration placed separated children in about 100 shelters where for safety reasons children were not permitted to touch each other. About 10 percent of those removed from a parent, including Thiago, were placed with a foster family. 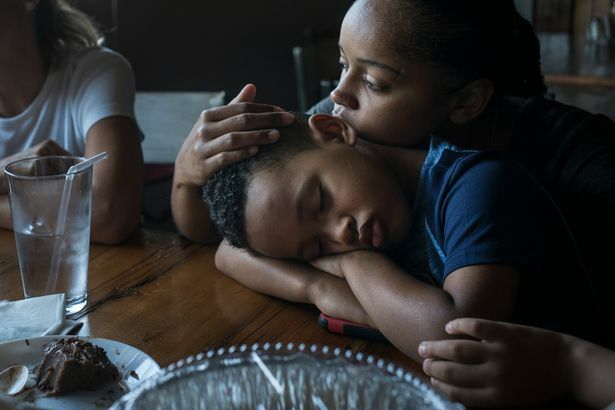 For the first few days after Thiago was taken Ana wasn't able to speak to her son while she was detained in a federal prison. But then she was summoned to take a call, where a woman told her that Thiago had shut down. He refused to eat and wouldn’t bathe. He was put on the phone to his mum and began sobbing uncontrollably. It was several more weeks until they could speak again and within that time Thiago was flown to Los Angeles and placed with a foster family. When she was finally released on June 10 after posting bond she was handed a toll-free number to locate her son. She moved in with relatives and then had to hire a Boston lawyer, Jesse Bless, to get Thiago released. At times now she says she sees some of the old Thiago - but she fears she has a long way to go and is considering taking him to a therapist. 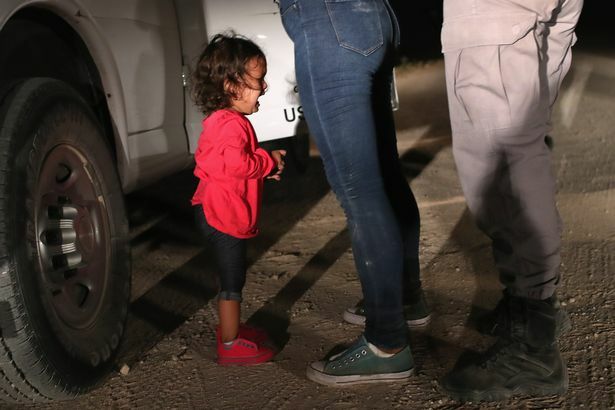 Johanna Bick, a psychology professor at the University of Houston who studies adverse experiences in childhood said: “There is no greater threat to a child’s emotional well-being than being separated from a primary caregiver. "Even if it was for a short period, for a child, that’s an eternity. “The bad news is that the first few years of life are a sensitive period of brain development; what happens can have dramatic impact later. In June a judge blocked Trump from splitting immigrant children from their parents and gave his administration 30 days to reunite separated families. Judge Dana Sabraw also ordered the government to return children under the age of five to their parents within 14 days and let kids talk with their families within 10 days.